I was in Mexico for just one week yet I came away with enough delicious material to go on posting about it for at least another couple of weeks. But alas, I won’t. Instead I’ll end the reminiscing with a collection of some of the best stuff we had during our little Yucatan/ Riviera Maya jaunt. 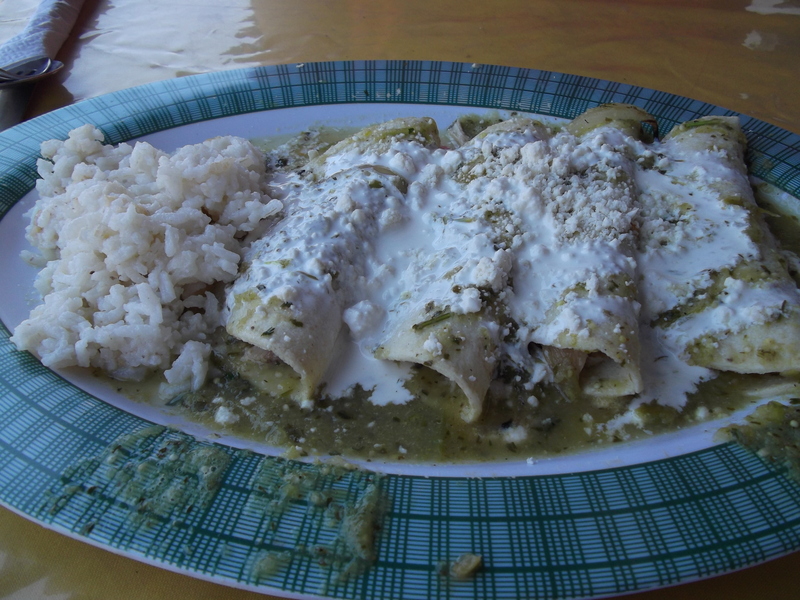 In Playa del Carmen Flaneur had the above pictured enchiladas verdes and I had the below pictured enchiladas de molè at a no-frills, definitely-not-trendy restaurant just a couple of streets off the main tourist area (known as Quinta Avenida, or yup, Fifth Avenue). The green ones were good—tangy, zesty and perfectly gooey and cheesy—but the ones in molè, a sauce made of chocolate and chilies, spoke directly to me. A little spicy and a little sweet. Yes please. 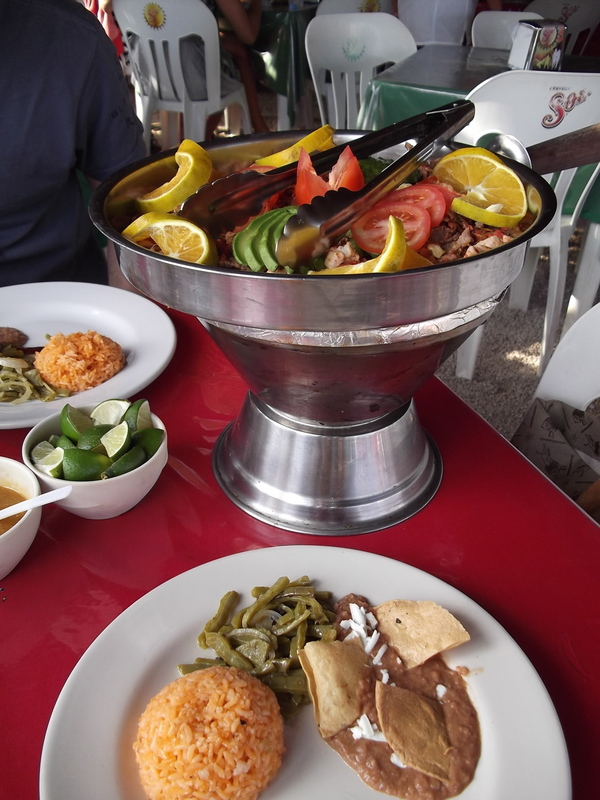 In Tulum, a smallish, quiet town with a laid back vibe, we had a heated-at-the-table dish for two at a place called El Mariachi. (No actual mariachi bands were involved, thankfully). Instead there were strips of chicken breast, pork and chorizo topped with avocado, lemon and tomato for bright, colorful flavors and spicy, seasoned meats, served with refried beans, rice and corn tortillas. Then there was the flan at Squimoz in Valladolid. 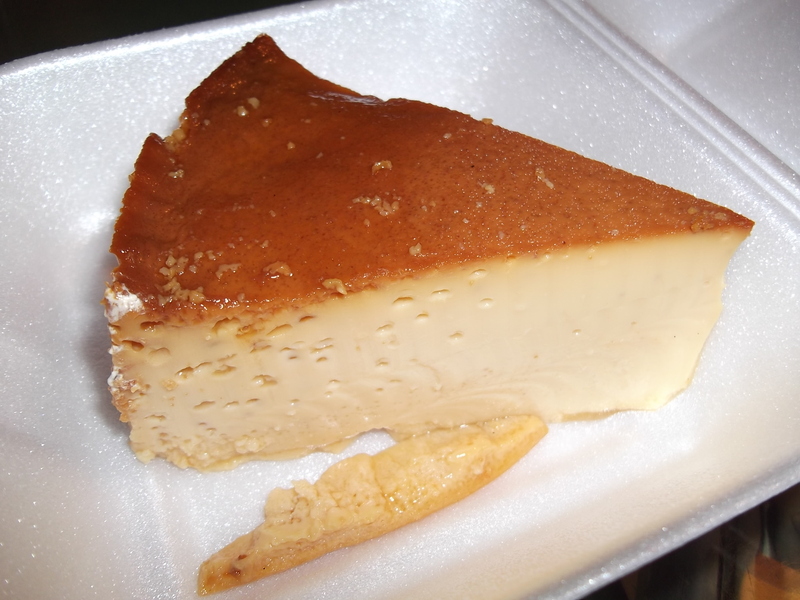 Oh that flan… so creamy in flavor but smooth and thick in consistency. So sweet, almost buttery, just perfect. So… exactly what I could eat every day. Below, after a day sweating it out under the relentless sun at the Maya ruins at Chichen Itza, Flaneur ordered this colorful and traditional Yucatecan dish in Valladoli, cochinita pibil with rice and sweet plantains. Pork meat is marinated in all sorts of juices, bitter oranges, seasonings and spices and then wrapped in plantain leaves before being slow roasted so that the end result is incredibly juicy, soft meat that really almost melts in your mouth… while you almost melt into your chair. 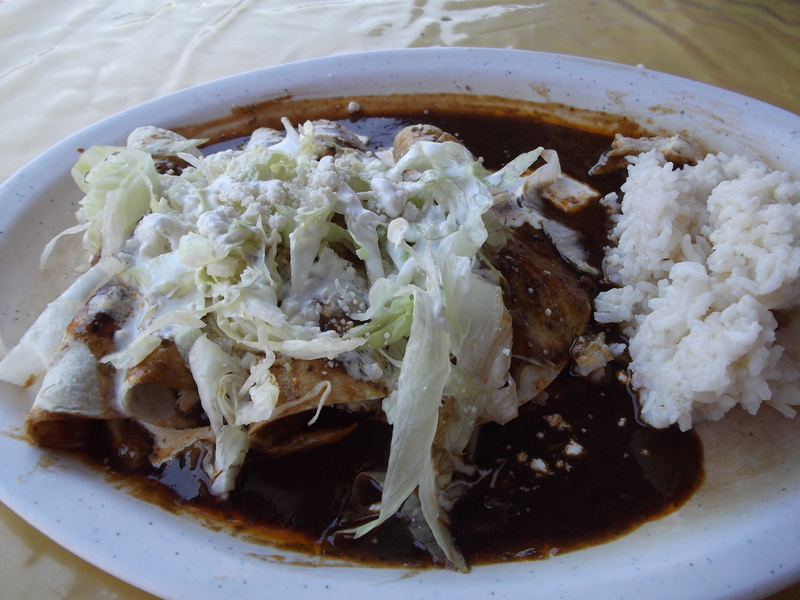 At the same restaurant, Plaza Maya Restaurant in Valladolid, I had the poc chuc, a funny sounding dish also typical of Yucatecan cooking. 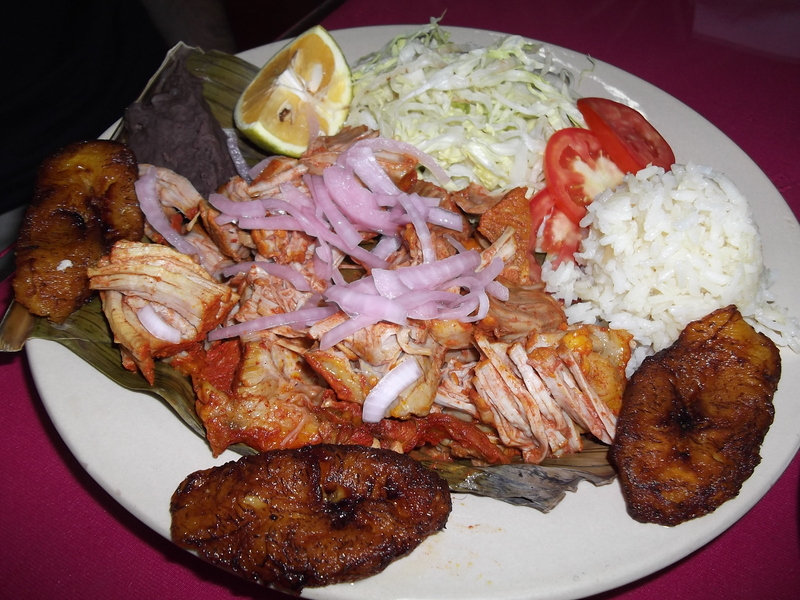 Like the cochinita pibil, poc chuc features pork but instead of being roasted it’s grilled. It’s not as tender as the cochinita but because it’s also marinated in sour oranges and citrus juices, it has that similar flavor and zest. 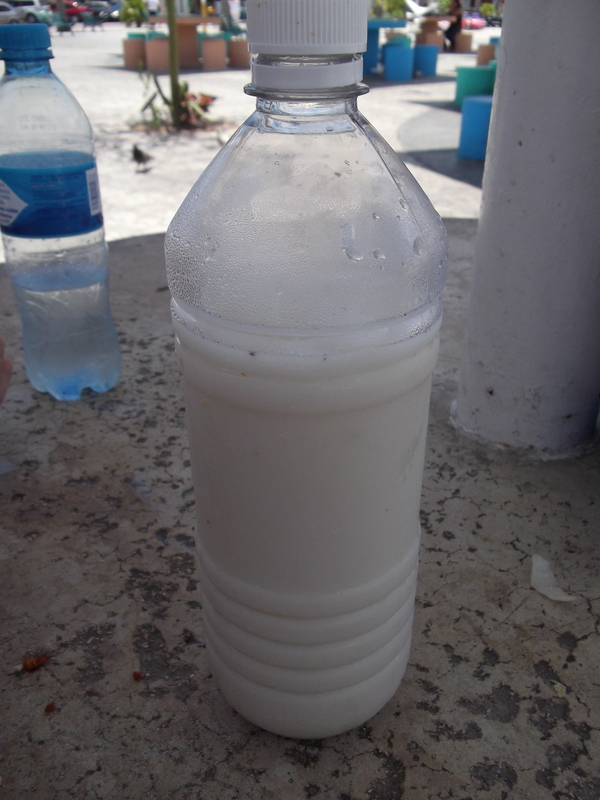 Last, but most certainly not least, was my favorite non-alcoholic drink of the trip: horchata. (Yes, between the frosty beers and the salt-rimmed margaritas there were indeed a few drinks of the non boozy variety.) It looks semi-sketchy in this unmarked (possibly reused?) bottle, but I threw caution to the wind (perhaps not always a smart idea when regarding food and drinks in Mexico…) and guzzled it anway. You know why? Cause that milky sweet almondy drink was delicious, and on those sweltering days, the perfect creamy, cold cure to beat the heat. So there it is, that’s everything from a pretty perfect vacation. Eso es todo, folks! Hasta la proxima! As a personal rule, I try and not order anything with shrimp, crab or lobster in it when I’m eating with Flaneur because as I’ve mentioned before, he’s allergic to them. Every once in a while though, I break that rule, and most recently I did it in Mexico. In New York, I can always go back to a restaurant with friends but in Mexico there was no such thing, so when at dinner one night the house special where we were eating (La Habichuela in downtown Cancun) was a plate that involved two of the three in the trinity of shellfish allergies, I bent my rule and ordered it anyway. How could you not be curious about a dish that involved lobster and shrimp cooked in curry, served with rice, all inside a coconut and garnished with pineapple, coconut shavings and sweet plantains? I mean really. I wished the beau could try it, but there was no reason both of us couldn’t. I won’t say it was the best thing I ate during my vacation, but it was probably one of the most interesting and definitely got the most points for presentation. 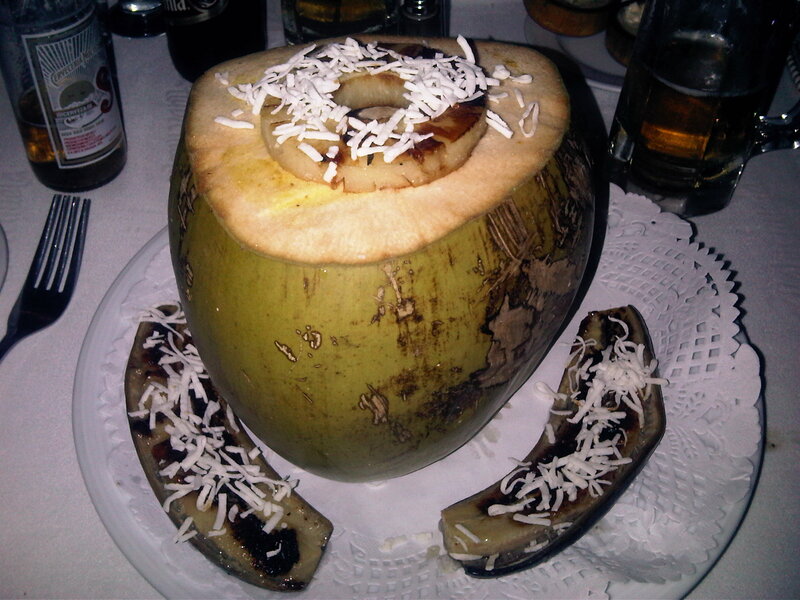 Though you can’t see it in the picture, the inside of the coconut was full of a rich, hearty bunch of rice with fat chunks of sweet lobster and shrimp in a peppery, sweet and earthy tasting curry sauce. Maybe I was a little selfish in ordering this, but the boyfriend understood. Plus, vacations aren’t about following the rules anyway. Every now and then I meet someone who doesn’t like guacamole and it really just blows my mind. Unless you’re allergic, how could you not love guacamole? Were you pelted by bullies with unripened avocados? Were your parents killed by a truck carrying a shipment of avocados? Does the green make you think of the time you were posessed and had the messy incident with the green vommit and the spinning head? What HAPPENED? I love guacamole and would be perfectly happy eating it at least once a week from now until, well, always. Cause I just love it so. 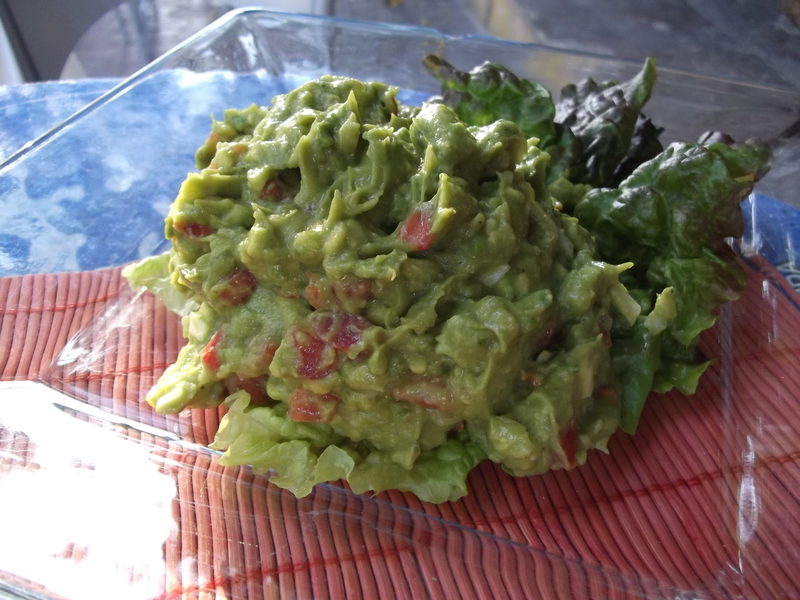 Which is why I was beside myself with gluttonous joy when we had the delicious heap of guac pictured above at a small, beachy cafe in Playa del Carmen called Caiman Tugurio. Flaneur and I were there for a couple of afternoon margaritas after spending the day lounging on the beach (God, I miss being on vacation) and decided to get something to munch on while we drank. Little did we know the guacamole at this unassuming, laid back bar would be the best I have possibly ever had. It was chunky and thick with hunks of tomato and little sprigs of cilantro, yet creamy and smooth on the tongue. Whoever made it must have used a perfectly ripened, soft avocado because it had the wonderful, buttery taste of an avocado that just screams to be eaten. They also didn’t hold back on the lime juice which was a good thing because it madethe guacamole just tangy and zesty enough to almost demand being enjoyed with a margarita. I’m pretty sure that this guacamole could make a believer out of anyone, even those random people out there who say they don’t like it. Cancun is made up of two very different parts: the zona hotelera, or hotel area, where all of the tourists and spring breakers hang out, fry in the sun, and get tanked at the clubs, and the centro, or downtown area, where there’s no beach, no big resorts and just a lot of locals. Though we spent the majority of our time in Mexico exploring places other than Cancun, we did find ourselves looking for a place to eat there one night, and it was then that we hit the jackpot of food: Parque de las Palapas. 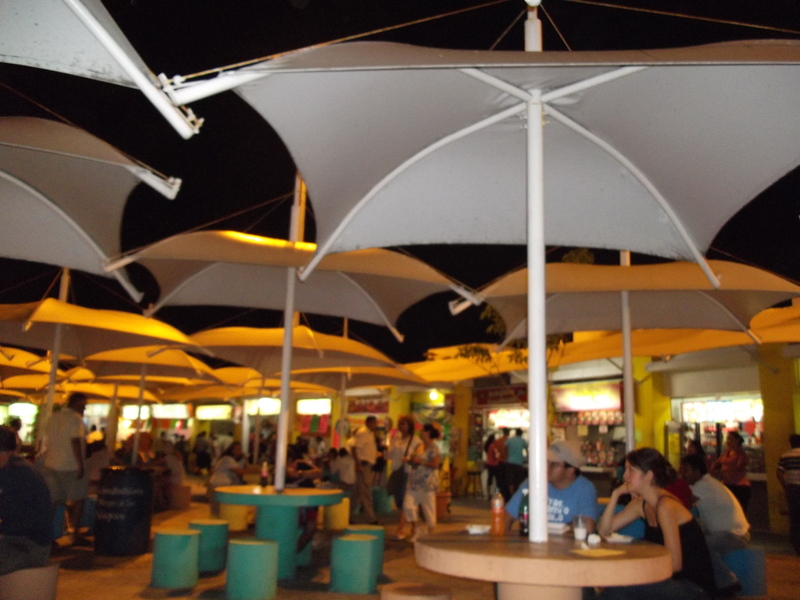 An open and lively square, the park is named after the umbrella’d tables where people gather to listen to live music and eat the delicious food from the many food stalls and carts selling all sorts of traditional Mexican eats. 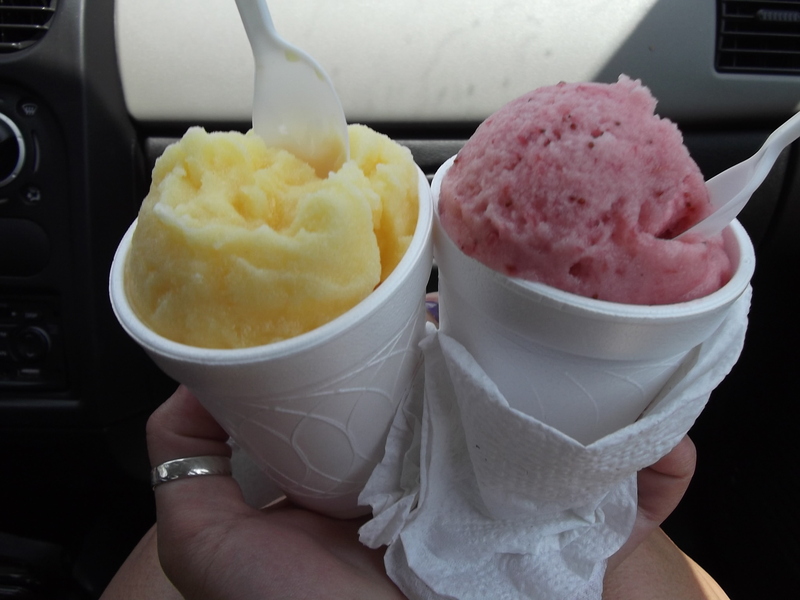 From tacos and quesadillas to things I had never heard of in my life, everyone was selling something, and for what amounted to no more than a couple of dollars. Everything was so good, and so mind-bogglingly-cheap that we came back for lunch a different day. Add up everything below and it probably still was barely 20 US dollars. And let me tell you, it made buying lunch in New York upon my return almost that much more of a painful experience. First, some of the most simple, no-frills tacos I’ve ever had. 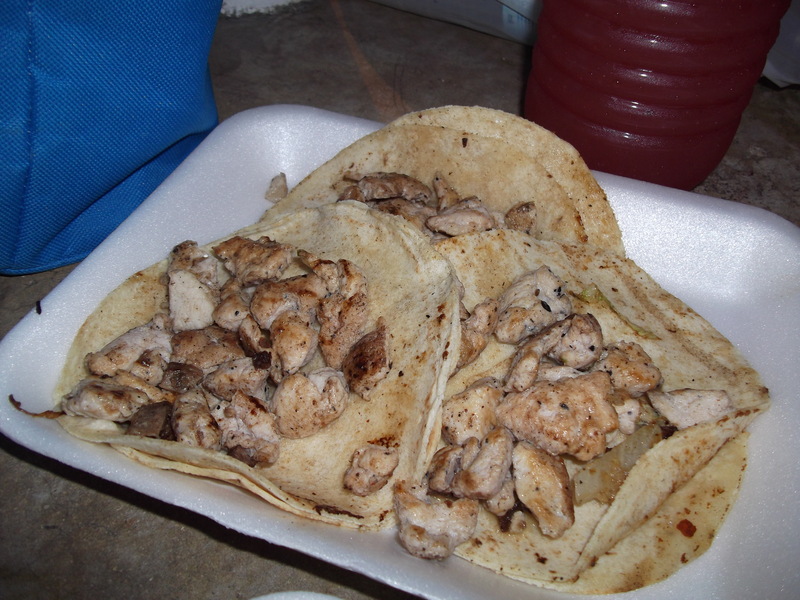 Nothing but juicy, savory hunks of chicken on warm tortillas, but yet somehow better than a lot of the sloppy, fat, overloaded tacos I’ve had at home.